How many of us have vied for lehenga cholis seen on-screen with fervor? We bet you yearned to own one yourself every time a Bollywood diva flaunted it with elegance beyond compare. And if you feel you can’t pull the look as beautifully as they did, we are here to show you how wrong you are about it! All you need is a little know-how on the best ways to style your lehenga choli and enhance your look to seem like a princess straight out of an Indian fairytale. What are the Different Styles of Lehengas? One of the most favorite ethnic outfits for women, lehenga cholis can be styled in numerous ways that are each as elegant as another. Heavily embellished lehenga cholis are popular among most women for the look and feel they offer. These designer lehengas are perfect for weddings and other such grand occasions that come along every now and then. Crop top lehengas are yet another style in trend. 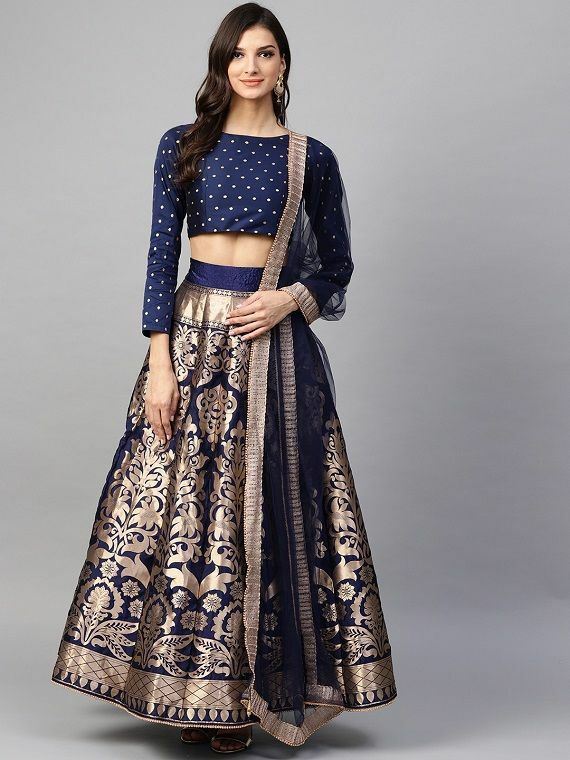 Substituting the ethnic choli for a crop top, one can experiment a great deal with this look by trying out different patterns and styles of crop tops that beautifully constrast the lehenga you intend to wear. Merging the traditional look with a western influence has been an evergreen trend among all the major fashionistas. An indo-western fusion of the lehenga, with a trendy western influence to the skirt of the lehenga or the choli has been flaunted by models on the runway, designed by some of the best Indian designers. The mermaid lehenga is tight and snugly wraps around the hips and the waist down until the knees below which it elegantly flares, giving it the feel of a fishtail. If you have a shapely and curvy figure, this is the perfect style of lehenga to accentuate those curves and look ethereal at the same time. The saree style lehenga is no new trend. However, there is no denying its stylishness. With the dupatta draped around to resemble a saree, the saree lehenga can be worn both as a lehenga and a saree styled lehenga. What are the Best Lehenga Choli Fabrics to opt for? While lehenga cholis were originally created using cotton and simpler materials, the innovation of various fabrics and the realization of all the masterpieces that can be created using them led to the creation of lehenga cholis in fabrics that add to the grace of the outfit. From a royal feel to a convenient wear, you can find lehenga cholis designed using a number of fabrics. Known for the softness and rich texture, silk has been used in the making of lehenga cholis since ages. For grand occasions, silk lehengas are the perfect option to opt for. Net is yet another fabric used in the making of lehenga cholis. 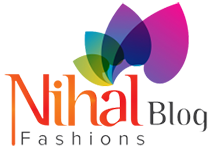 Perfect for every occasion, net lehengas offer a grand look and make you a vision to behold. Brocade is intricately embroidered before being used in the making of ethnic Indian wear. With brocade lehengas, you are sure to get an outfit that screams elegance with the way it is designed. Light in weight with a crepe feel, georgette is an ideal fabric for any weather. A lehenga designed from this particular fabric is sure to be comfortable and look classy at the same time. Accessories have forever worked like a charm in taking the look of an outfit a notch higher. The same goes for when you don on a lehenga choli. A number of accessories can work in your favor to make the outfit look even more alluring. Nobody can deny the fact that jewelry tends to augment not only the way you look but also enhance the elegance of the outfit you have on. With something as alluring as a lehenga choli, jewelry is certainly a great choice of addition. If your attire is simple, go for bling or statement jewelry that balance out the look. If you are someone who loves heavily embroidered fabrics, opt for simple jewelry that completes your look the best possible way. Carrying a purse along with taking care of your lehenga is a task best left to professionals. So, if you find it hard to keep your dupatta in place while running about on errands during events, keep a clutch along to keep your essentials or as an add-on to your outfit rather than worrying about a purse. Clutches that match in shades and designs to your outfit can make your look more elegant, offering the perfect blend. The right footwear makes a huge difference to your ensemble, whether you flaunt a western look or a traditional one. While heels are always a great option, wearing a pair of mojdis instead is great to help you balance yourself in the flowy ensemble that can make you trip if you aren’t careful. The brooch is another accessory you can add to your attire. One that matches the designs and pattern of your outfit can be a perfect add-on to keep your dupatta cinched and add another glitzy touch. With the lehenga choli being a three-piece outfit, every clothing item is elegant enough to create a lasting impression. The dupatta, whether heavily embellished or simple, can make or break your look with the way you drape it. So, here’s us giving you a few tips on draping the dupatta in style. This is one elegant way of draping your dupatta. Gather the dupatta and drape it across both your elbows while allowing the ends to simply hang in the front. This elbow drape can be seen as a look often worn by fashionable women in the earlier ages. The simple look of draping your dupatta across one shoulder and gathering it in a simple knot at the waist on the opposite side has forever been a classic. You can pleat the dupatta for an even more elegant look or hold it in a cinch with the help a brooch on your shoulder. A double dupatta has lately been seen in fashion more so then ever. A lot can be done with this look by using two dupatta elegantly draped in a way that offers a beautiful blend. You can have on draping across you shoulder while the other wraps around your waist in a flowy manner. This is the simplest way to style your dupatta. Draped across your chest and over your shoulder, you can secure the ends by pinning it at your shoulders. You can try it with sheer dupattas or with dupattas that are intricately embellished to enhance the look of your outfit. How to Style your Lehenga Choli Right? When styled right, your look in a lehenga choli can turn heads your way at every event and make you the belle of the ball. 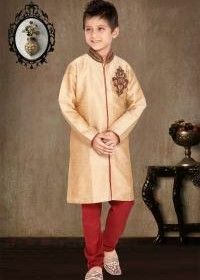 If it is an occasion where a lot of people, like you, are planning on wearing their ethnic best, the only way you can make an impression is by styling the outfit right. Don’t be afraid to try out a bolder look. Go overboard if you can pull it off flawlessly. However, make sure your outfit blends well. 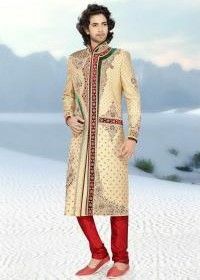 A jacket on ethnic wear can never go out of style with the kind of elegance it adds to most outfits. A cute little jacket atop your choli or perhaps a cape that trails behind you, adding glamor to your look is certainly an addition worth making to your look. Accessories are a must for every ethnic wear you flaunt. For those who love a lot of bling, a maangtika, a statement necklace or choker, and gemstone rings would be alluring along with enhancing your outfit. Bracelets are another item you can add to the list of accessories that can be adorned with a lehenga choli. One great thing about fashion – it keeps evolving. Which means, you can always rely on finding newer trends to style your outfits by experimenting with your looks a little. Checking out the latest trends showcased by designers can give you some inspiration so as to look trendy and chic when you don on your lehenga choli. Resembling a blouse, a choli needn’t be worn the way it is conventionally worn. You can try out a collar, or go for a bolder look by going for a backless choli. Another way you can experiment with the choli is pairing the lehenga with a crop top or a tube instead. You can also play with the sleeves or the neck of the choli by opting for bolder patterns and designs. How to Choose the Right Look While Donning Lehenga Cholis? Shopping while browsing may seem like a good idea at first but taking all things into consideration, you might regret making the purchase eventually. What can be worn to an event you are gracing, and what can’t, depends on a number of factors that determine whether your ensemble will make a positive impression or fall flat instead. When purchasing a lehenga or getting one designed, make sure you keep the occasion in mind. 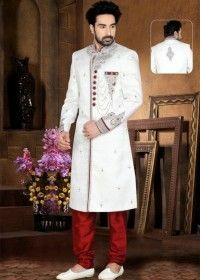 If it is wedding you need to attend, go for something glamorous. On the other hand, if it is a simple family occasion or a festival where you would have to move about a lot, opt for an outfit than is simple and lighter to carry in comparison. Wearing sombre shades of lehenga cholis during the day can notably take the show off your outfit, especially if the event is held in the outdoors. Bright shades, on the other hand, would be just right to get you to be the centre of attention. Events held during the evening are ideal for darker shades. So, if you are particularly fond of blacks and browns, make sure you reserve for events held later in the day. Seasons are another consideration to be taken when you plan to a purchase lehenga choli. The fabric you choose can make a huge difference by either being perfect for the weather or making you uncomfortable when you have it on. Wearing a thick material during the summers might as well give you a heat stroke. Similarly, wearing a sheer fabric during the cold would hardly be enjoyable if you spend the whole time shivering. When Can You Wear a Lehenga Choli? Occasions to flaunt ethnic aren’t hard to come by. Whether you intend to wear your most expensive lehenga made of plush fabric and the best handiwork or don on a simple lehenga, you needn’t wait long for an occasion to come around. Designer lehenga cholis make for a perfect attire when it comes to dressing up the part of a bridesmaid when you BFF ties the knot. Or even for a family wedding. If you’re worried of dressing over the top, you can always go for something simple yet elegant rather than a garishly glitzy ensemble. Having watched Deepika Padukone dance around displaying her garba moves in Ramleela may have caught the attention of ladies everywhere. And it is no surprise. The next Navratri or Diwali, opting for a lehenga choli wouldn’t seem too farfetched an option. Wearing the best of the outfits for family events are a given. Lehenga cholis are ideal for those who want something grander than a salwar suit. Where can you buy Lehenga Cholis? Finding the right place to buy lehenga cholis for women needs nothing more than browsing for it online. 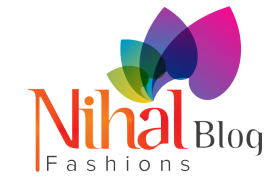 While most prefer checking out the material directly rather than taking a chance with ordering online, shopping portals for Indian wear such as Nihal Fashions offer exquisite selections of ethnic outfits that are of the best quality and beyond compare in terms of designs and patterns. Next article Next post: Salwar Kameez Makes A Huge Comeback, Here’s How You Can Style It Right!